Old style building with character. Helpful staff who arranged to get the shower fixed and tried to help when my son was sick. Next time just recommend the children’s hospital, as there was no doctor working on the day you recommended we go to the private clinic, so we had to go to the children’s hospital. The space of the rooms, the cleanliness. The independance of the rooms, brand new flat. The location of the apartment couldn't be better! 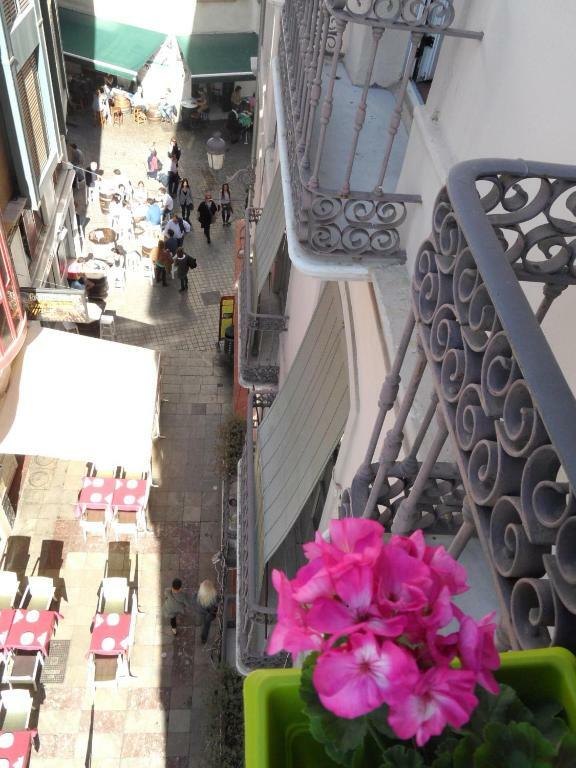 Right in the middle of the historic city centre and only a 10 minutes walk away from the beach! We took the train from the airport (1,80€ p.P) to Malaga Central Alameda, which took us 12 minutes. After a 15 minutes walk we arrived at the apartment, where Regina welcomed us very warmly. She showed us the apartment and gave us some really nice tips for our stay in Malaga. 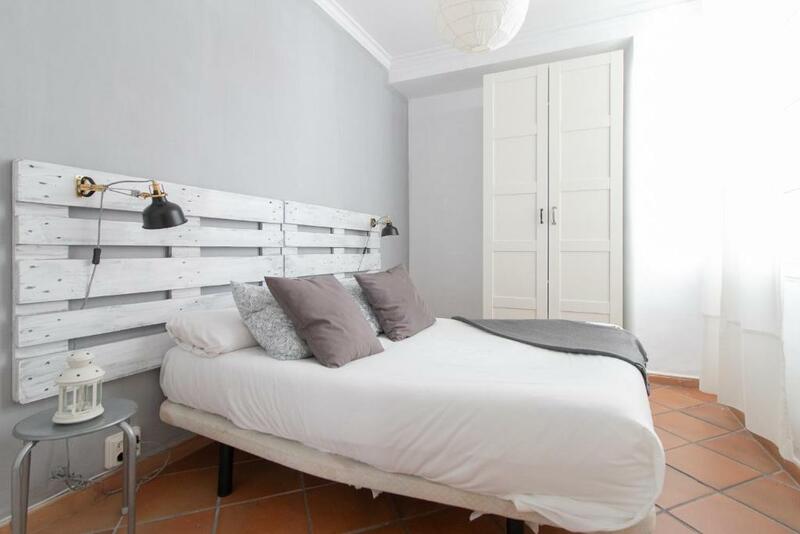 If you plan to go to Malaga I totally recommend you to stay at Reginas apartment! Mi e' piaciuto molto il posto e la posizione dell'alloggio, comoda a tutto. La ubicacion si te gusta la fiesta y el jaleo extremo. 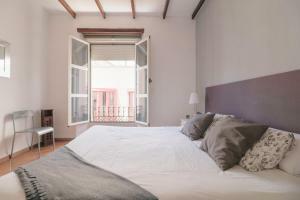 Tengo que decir que la desde el principio me he sentido bien atendido por parte de la empresa que gestiona este apartamento, tanto en información como en atención. Y la primera impresión cuando llegas al apartamento es de que estas en un sitio acogedor, amplio, limpio y en el centro de la ciudad. La ubicación del apartamento y la limpieza. Los espacios amplios de todas las habitaciones, cocina y salón. Located in Málaga, Uncibays Home is an apartment featuring a terrace. The unit is 350 feet from Picasso Museum. Free WiFi is featured throughout the property. There is a seating area, a dining area and a kitchen. A flat-screen TV with cable channels is offered. There is a private bathroom with a bath. Malaga Cathedral is 650 feet from Uncibays Home, while Pablo Ruiz Picasso Foundation is 1,000 feet away. 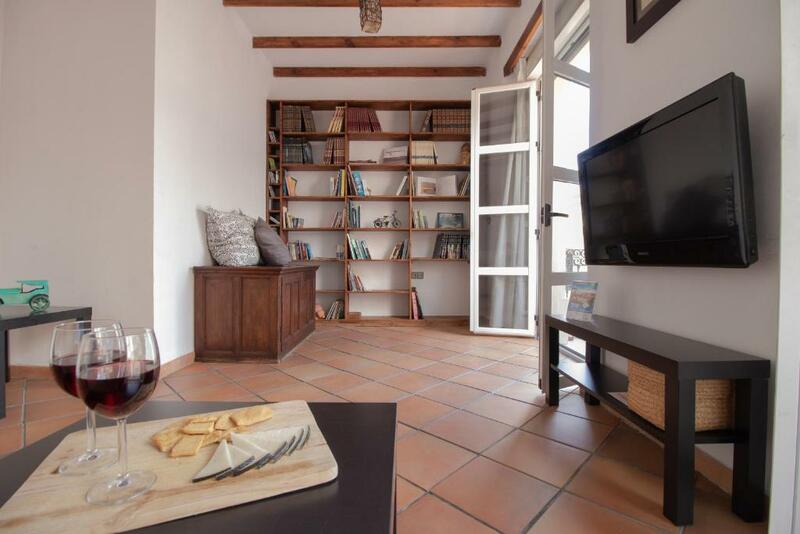 The nearest airport is Malaga Airport, 5 mi from the property. 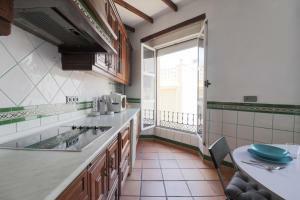 뀐 Located in the real heart of Málaga, this property has an excellent location score of 8.6! When would you like to stay at Uncibays Home? 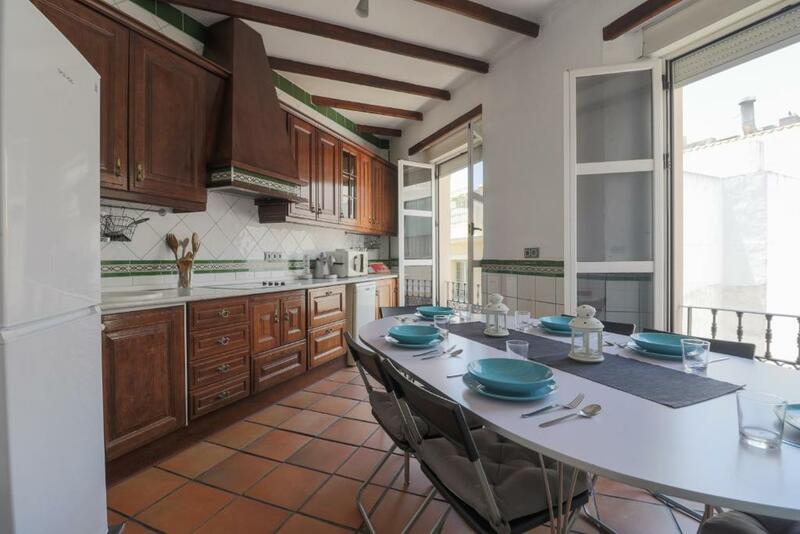 Beautiful 3-bedroom apartment located in a 19th century historical building which has been fully renovated, preserving its original architectural features. 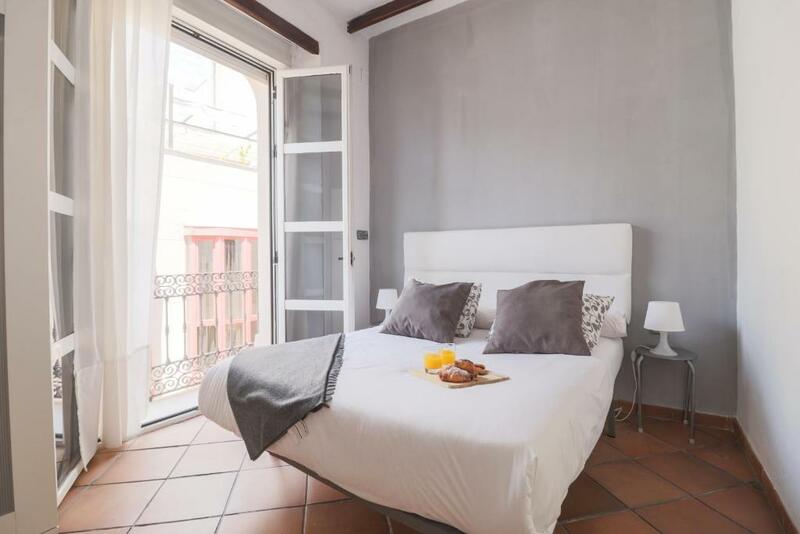 This 106-square metre apartment has bright, spacious rooms which combine original architectural elements (high ceilings, wooden beams, large windows and 6 balconies) with modern elements (double-glazing, international TV channels, wi-fi….). It has 3 comfortable double bedrooms (one of them with a king size bed), a spacious living room with a sofa bed, a large fully equipped kitchen (with a fridge, dishwasher, vitro-ceramic hobs, microwave, coffee machine, kettle, toaster, crockery and cutlery), dining area, bathroom (with bath, shower, towels and toiletries included) and a separate utility room with washing machine, maiden and an iron. 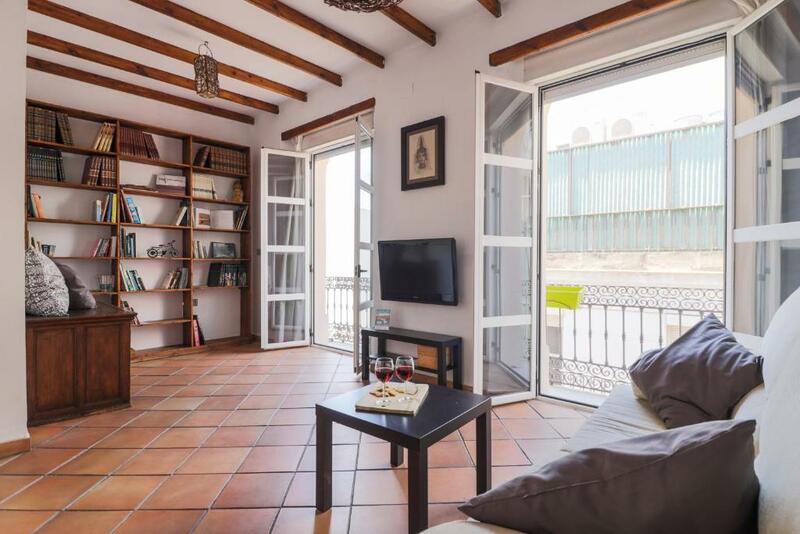 It is superbly located in the city centre (plaza Uncibay), surrounded by a great variety of cafés, restaurants, pubs and open terraces. It is also within walking distance of all of Malaga´s tourist attractions, such as the cathedral, the Roman amphitheatre, the Alcazaba castle and the three major museums (Picasso, Thyssen and Pompidou). In addition, it is only a 10-minute walk from the beach. Area Info – This neighborhood is a great choice for travelers interested in museums, tapas and restaurants – Check location Great location - show map Guests loved walking around the neighborhood! House Rules Uncibays Home takes special requests – add in the next step! Uncibays Home accepts these cards and reserves the right to temporarily hold an amount prior to arrival. Please inform Uncibays Home of your expected arrival time in advance. You can use the Special Requests box when booking, or contact the property directly using the contact details in your confirmation. The sofa bed was very bad as a bed. There was so much noise during the night until 4 in the morning. The utility in the kitchen was poor. The fryer had a leek. The dishwasher didn’t work. There was a tiny pan but it we were 7 people, so difficult to cook. Plenty of room. Good location. The shower initially didn’t work, then once we were shown how to adjust the pressure it did however it was a hand held shower. The bracket to hold it up didn’t work. The location was very central in the old part of Malaga however it was extremely noisy until well after midnight due to bars and clubs just below. An absolute disappointment. 1. They don't take you to the apartment or show you around. You're asked to pick up the key and go find it on your own in a street that has three buildings with the same number! Took us over an hour to find where the apartment is. 2. They block 150 euros from your credit card as an insurance deposit and they don't even show you around first. 3. They take cleaning fees and the apartment was nothing close to being clean. Floors were so dirty I couldn't even walk barefoot. 4. They tell you it's an air-conditioned apartment- truth is there is only one tiny small AC in the CORRIDOR! No ACs in the bedroom. 5. Beds are far from being comfortable! 6. Electricity is horrible! Every now and then it would go off and we have to restart it. 7. They give you a contact number for emergencies and then they don't even pick up or respond to emails 8. They put pictures of flowers in the balcony, yes you guessed right: NOTHING. Horrible view. 9. Apartment is in the third floor, with very high and tiring staircases. 10. Noisy. Won't be able to sleep before 3 am. 11. Shower is very weak. Iron is broken. Washing machine won't wash the clothes. Just the location, it is very central. The apartment wasn't clean, the beds were uncomfortable and it was very noisy. There was noise from the street/ bars from below the apartment until 5am in the morning. Great location and very friendly host! The noise. Impossible to sleep before 3 am when the people down the street, sitting on tables in the middle of the street are getting very noisy, loud and drunk. Shame! Not really suitable for elderly people who stay more than 1 day, as the flat is located on the third floor without elevator? Noise was woeful. Non-stop. Music and people talking all night. No air conditoning. The fridge didn't work. Nothing to complain about. But if you travel with kids you should be aware that the historical city centre is very noisy in the nights.